Looking for a Robina dentist? Robina Town Dental is a modern dental clinic conveniently located in Robina Town Centre, one of the Gold Coast's top shopping destinations. Our professional team of dentists and hygienists are dedicated to improving the oral health of our local community and surrounding areas, including Burleigh Heads, Burleigh Waters, Mudgeeraba and Varsity Lakes. For 20 years, our dentists on the Gold Coast have provided a high standard of care with a friendly bedside manner. Whether it's time for your check-up, you have a toothache or you want to discuss an orthodontic or cosmetic treatment, we've designed our dental clinic to be as welcoming as our staff. See our current offers and find out more about the treatments and other services we offer at Robina Town Dental so you can make informed decisions about your oral health. We use the latest dental technology to help people of all ages achieve the healthy and beautiful smile they deserve. If you want to know more, or you're ready to make an appointment with a dentist in Robina, call our friendly team today on (07) 5575 9100 or contact us online. Our Gold Coast dentists and hygienists are experienced at caring for people of all ages, from young children growing their first teeth to seniors. We're strong believers in education and the preventive approach, and we'll make sure you and your family take away all the information you need about how to take the best possible care of your teeth and gums every day. We know that everyone who visits us is unique, with different needs, problems and goals. Our Robina dentists will work closely with you to develop a personalised treatment plan that addresses all of these. We'll make sure you're always fully informed about all the treatment options available, and what the costs and possible complications are, so you can make a fully informed decision about what's right for you. ﻿Click here to read our booking terms and conditions. This package includes 1 clinical exam, 2 intra-oral radiographs and an oral cancer screening for at-risk patients. It's important to us that you enjoy your experience at Robina Town Dental. We understand that some people find going to the dentist inconvenient or even stressful, which can prevent you from getting the regular care you need. We've designed our Gold Coast dental clinic to be a welcoming, calming and trusting environment, right from the moment you step inside. From our comfortable and contemporary reception area to our modern dental surgery, everything has been designed for your comfort and peace of mind. Our dentists use the latest equipment and technology to offer the highest possible standard of comfort and safety during diagnosis and treatment. We encourage you to ask questions and voice any concerns you have so we can help you to feel at ease. If it helps you to feel calm, we invite you to listen to music or watch a movie or TV show on a personal monitor while your dentist is treating your teeth. We also offer sedation options if you have dental anxiety and need some help to feel calm. Professional scale and clean with an oral hygienist. Book an appointment at our Gold Coast dental clinic today. Our dentists on the Gold Coast offer a wide range of services for children and adults of all ages. If we spot a possible sign of an oral health problem during your regular check-up, or if you visit us with a toothache or other symptoms, we'll discuss all the treatments we offer and what they involve so you can decide what's best for you. As well as preventive and restorative treatments, we also offer orthodontics for teenagers and adults and cosmetic treatments if you want to change something about your smile. If you have a dental emergency, our dentists at Robina Town Dental give priority to emergency patients to help you get the urgent care you need. How was your visit to Robina Town Dental? We'd love to get your feedback so we can make any improvements for your next visit. We know that going to the dentist can sometimes be expensive. We believe that everyone has the right to high quality dental care when they need it, which is why we aim to make treatments as affordable as possible. We accept all health funds, but as a Bupa preferred provider, we can offer more benefits for eligible Bupa members. We also offer flexible payment plans designed to suit your individual circumstances. What's more, we have regular offers and rewards to help you save on everything from check-ups and teeth cleaning to cosmetic treatments and teeth straightening. If you have children, they may be eligible for free dental services under the Australian Government's Child Dental Benefits Schedule (CDBS). Robina Town Dental offers bulk billing that allows us to receive Medicare payments directly, so if you are eligible for CDBS or other programs, you won't have to pay any out-of-pocket expenses yourself. Are you thinking about straightening your teeth with invisible aligners? Book a complimentary consultation with our dentists (valued at $297). Robina Town Dental is excited to announce that we are a QIP accredited dental clinic. This means our team and facilities meet the highest National Safety and Quality Health Service (NSQHS) Standards of reducing clinical and general risks and offering a high standard of patient care. Robina Town Dental is a Recognised Leader in Cosmetic Dentistry – Gold Coast, Australia, Queensland by Global Health & Pharma (GHP). This award recognises our dentists' expertise at providing a high standard of cosmetic treatments, including teeth whitening, veneers and more. Click here for the certificate. 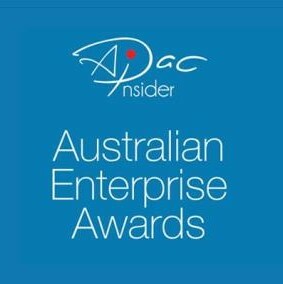 Robina Town Dental is proud to announce they are the recipient for an APAC Insider's Australian Enterprise Award 2019. We received the 'Best Family Dental Practice - Gold Coast' award. We are grateful for the recognition. Click here for the recipient entry. Are you ready to talk to a dentist on the Gold Coast? Call our friendly team on (07) 5575 9100 or contact us online for any enquiries or to book an appointment at Robina Town Dental today. The Child Dental Benefits Schedule is an Australian Government initiative providing $1,000 of free dental benefits to eligible children.